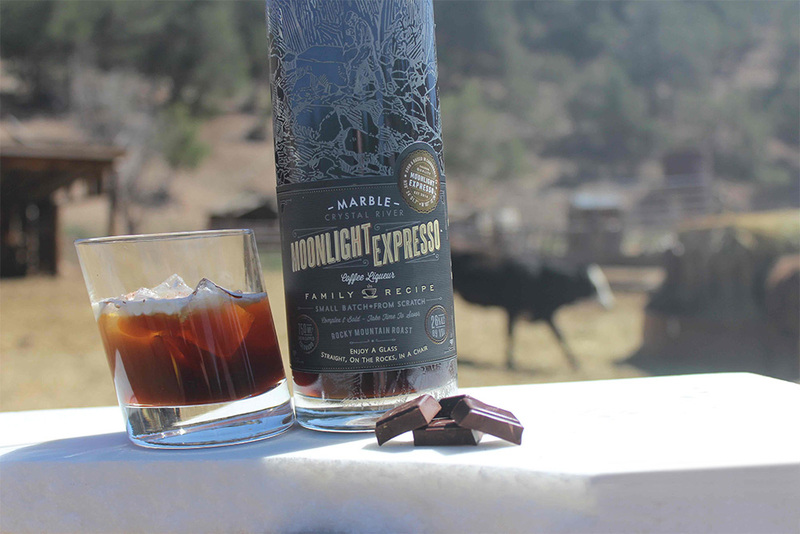 Inspired by the Italian craftsmen who worked long hours in the Marble quarry, Moonlight EXpresso is a complex dark roasted coffee liqueur that blends locally roasted dark Guatemalan coffee beans and Ugandan vanilla beans with a touch of sweetness. If it was enough to keep the workers of Marble working through the wee hours, it’s more than enough for you. 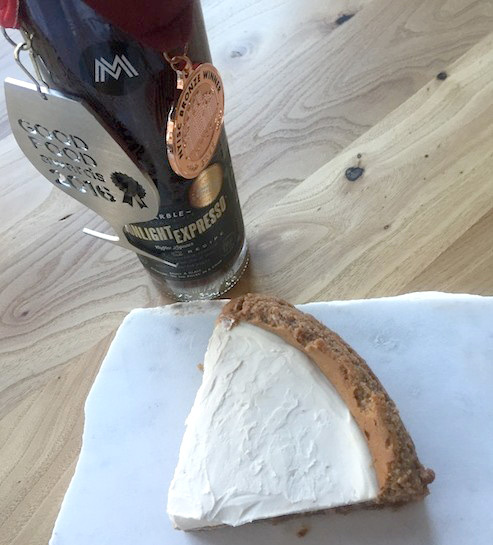 Mix and set aside until the cheesecake is baked. Crush the graham crackers until fine. Place in a bowl. Add sugar. Drizzle in butter slowly until graham crackers begin to sticks together. Firmly pat the mixture into the bottom of a spring form pan. Cream the sugar and cream cheese together using an electric mixer. Add one egg at a time until well combined. The longer you mix this the fluffier and lighter your cake will be. 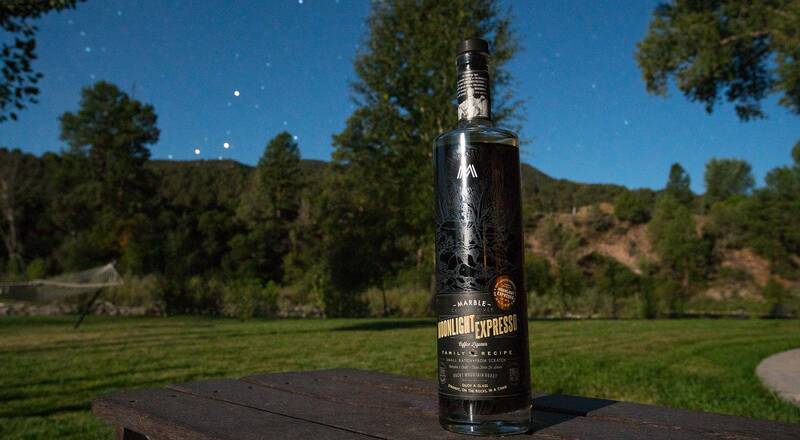 Add the Vanilla, Moonlight Espresso and continue to mix for another minute. Pour the mixture on top of the crust and bake for one hour or until the center is slightly shiny and giggles like pudding. The outside edges may crack and that is completely fine. Cool the cake for 10 minutes. It will settle and crack. Then spoon the topping on top of the cooled cake. Spread the sour cream mixture on top of the sunken part of the cake Return the cake back into the oven for another 10 minutes. Let the cake cool completely, keep it in the springform pan, cover it with foil and let it rest for 24 hours before serving it to get the best results.